Police are investigating after a truck crashed through the front of a Homestead home Wednesday morning. Police are investigating after a U-Haul truck crashed through the front of a house in Homestead Wednesday morning. The incident happened around 4 a.m. at the home at 30100 Southwest 149th Avenue. Residents of the home said the 26-foot truck crashed head-on into their dining room, missing the bedrooms where they were sleeping by just a few feet. 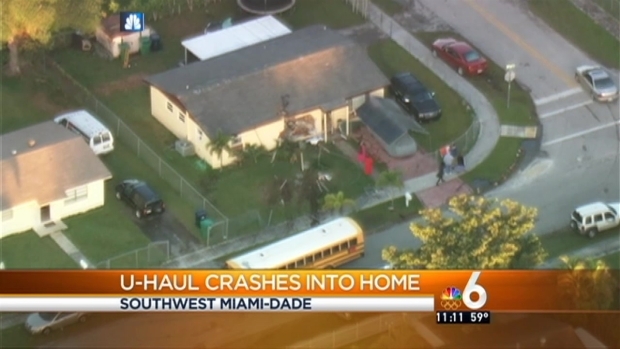 Police are investigating after a U-Haul truck crashed through the front of a house in Homestead Wednesday morning. 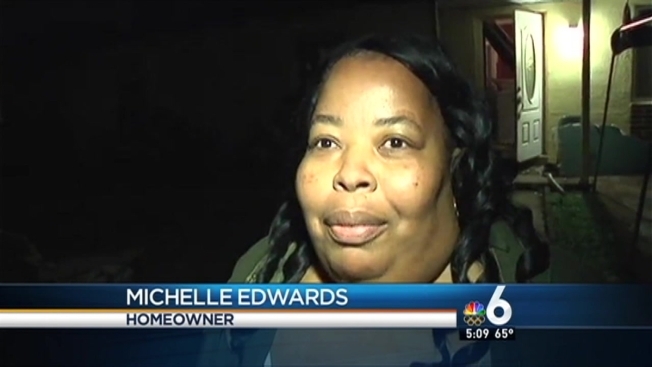 NBC 6's Laura Rodriguez has the story. "It was like really loud, I thought it was an earthquake or something,” Alteria Anderson said. All seven residents inside the home emerged uninjured, though they had to crawl out of a window to get out. “I came out the window first, then everybody followed,” Anderson said. Footage showed a large hole in the front of the house with debris and tire tracks in the front yard and a fence knocked over. "They didn't have no way to get out, all the kids had to jump through the window to get out of the house," said a neighbor named Florencia, who didn't want to give her last name. "She have little boys, little girls, cold outside, nothing but their blankets to put on." Police said the driver of the truck fled the scene and no one is in custody. The homeowners said insurance should take care of the damage. “I hope they not hurt, but I hope they can catch the person who did this to my house,” Edwards said.